The Empire may be gone, but its shadow still looms large across the galaxy. 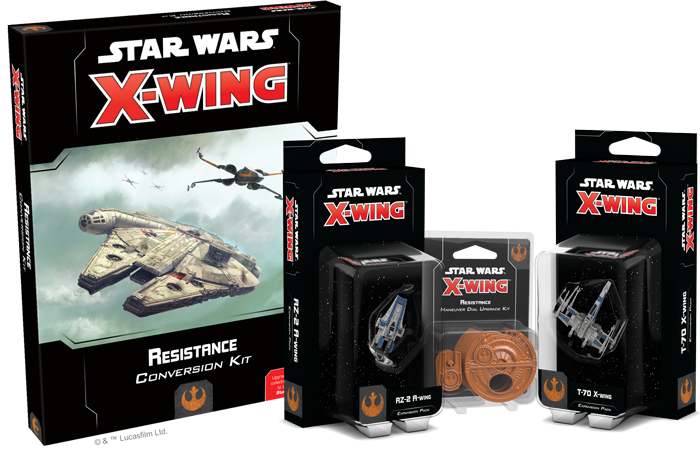 As X-Wing™ Second Edition ushers in a new era of starfighter combat in the Star Wars galaxy, the pilots of the Resistance aim to rekindle hope as they carry on the legacy of the Rebel Alliance. Carrying on the torch first lit by the Rebellion against the Empire, the Resistance remains ever vigilant in its fight to maintain peace throughout the galaxy. With these expansions, you’re invited to join a new generation of heroes and experience the intense space combat seen in The Force Awakens and The Last Jedi from behind the controls of these upgraded versions of iconic ships.